Waymo will start testing a fleet of autonomous freight trucks in Georgia’s capital that will take deliveries to Google’s data centers. 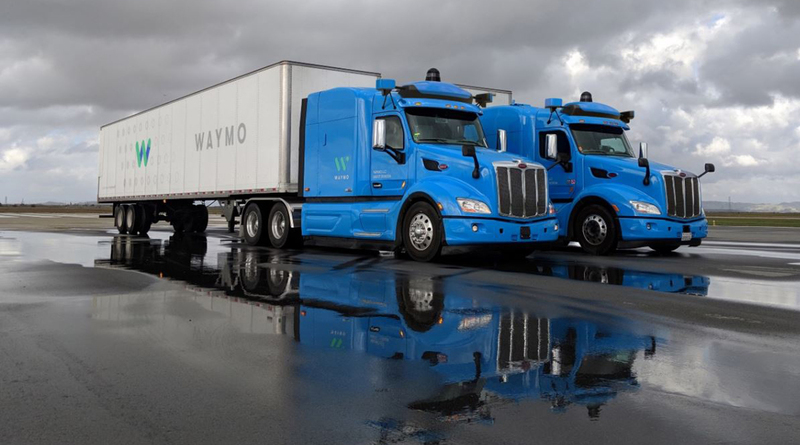 The company has already been conducting road tests for the self-driving Semis in California and Arizona for the past year, but this new pilot lets Waymo expand its understanding of how shippers and carriers will integrate the trucks into their distribution networks. “Atlanta is one of the biggest logistics hubs in the country, making it a natural home for Google’s logistical operations and the perfect environment for our next phase of testing Waymo’s self-driving trucks,” the company wrote in a blog post. The race is heating up to remove the driver and get autonomous freight trucks on the road. Germany’s Daimler AG got a jump on Waymo when it showed off its fully licensed autonomous Freightliner Inspiration truck at the Hoover Dam in 2015. Tesla Inc. has also promised an autonomous truck as the transport industry looks for ways to cut from the equation human drivers who need rest stops and paychecks. The bright blue trucks in Waymo’s Atlanta pilot will still have back-up drivers in the cabs to monitor systems and take control if needed. Waymo has installed its self-drive system and some of the same sensors used on its driverless Chrysler Pacifica minivans to enable the Peterbilt Class 8 Semis to drive themselves. A Waymo spokeswoman declined to say how many trucks will be tested. In January, Waymo said it would start testing its minivans in Atlanta to experiment with driving in the city’s dense traffic and high summer temperatures. Testing trucks takes it a step further, the company said.